There are but few women who look graceful at any age. If you get to meet such a woman, consider yourself lucky. 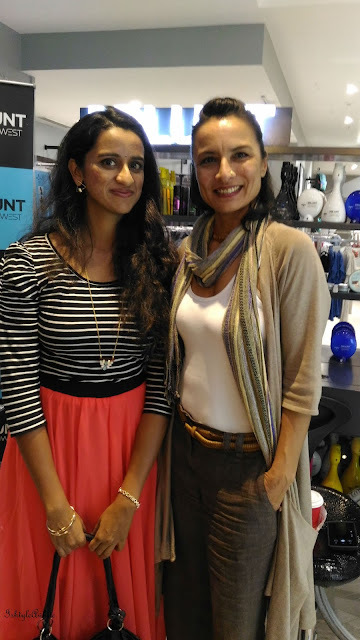 I know I am because I got to meet Adhuna Bhabani, at the launch of the BBLUNT Studio in Westside on Commercial Street, Bangalore, just a few days ago. She is absolutely stunning! 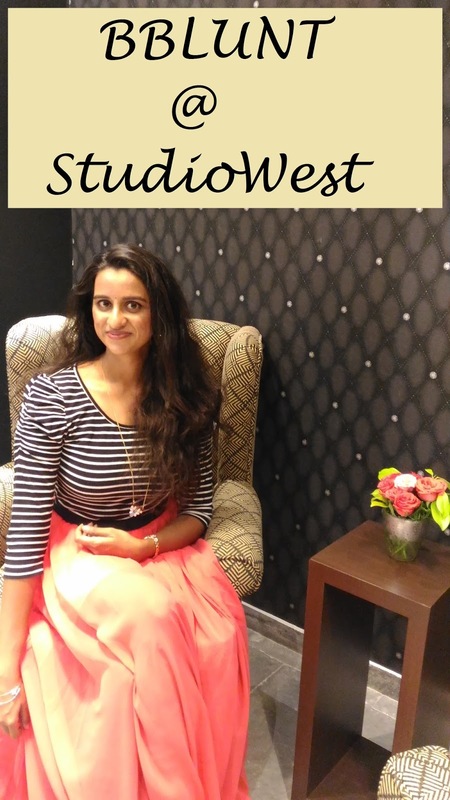 Stylish, elegant and such a pleasure to talk to. 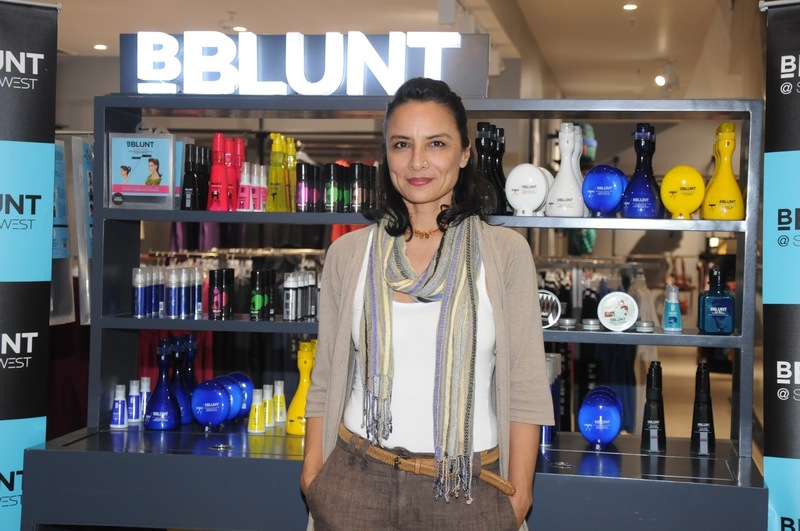 She was open to all sorts of questions that we threw at her regarding BBLUNT and their latest venture. Read on to know more about it and a few excerpts from the one on one interview that I got with her. 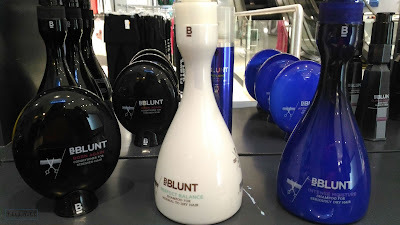 BBLUNT is known for their hair care products that cater so specifically to the Indian hair and its varied types. Close to 4 years of research goes into a product before it comes out into the market and this is why BBLUNT products are raved about. 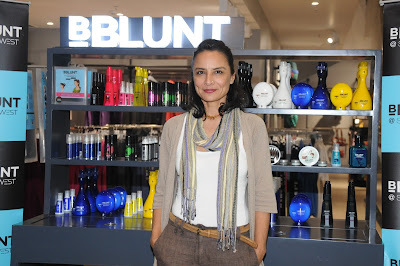 The passion with which Adhuna, the Creative Director at BBLUNT talks about hair care and hair styling, shows in the wide range of products that they have on their shelves. 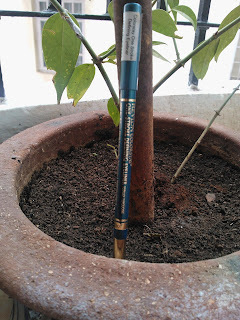 Adhuna says that she loves being the first to try something. 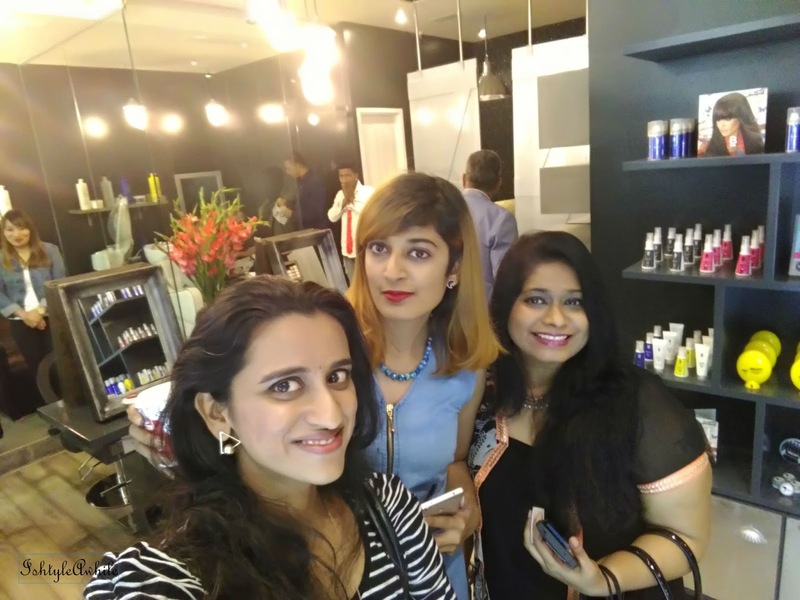 From making BBLUNT the first unisex salon to the latest video featuring bloggers to advertise for the famous BBLUNT dry shampoo, she is not afraid to try new concepts. That is exactly the idea behind the latest salon. Launched within Westside on Commercial Street, this is a joint initiative between BBLUNT and Westside to give the shopper a complete beauty experience under one roof. 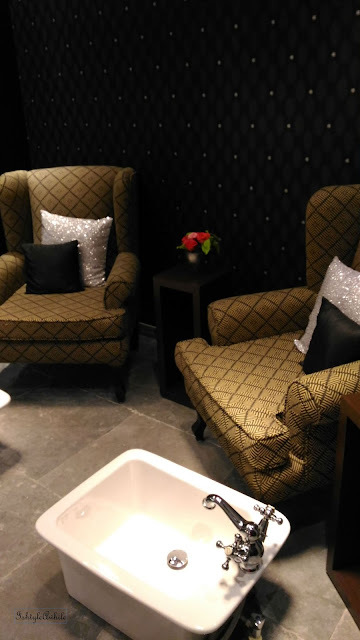 To add to more firsts, BBLUNT at Westside has a stunning Grey, Silver and White decor which makes it look super classy. 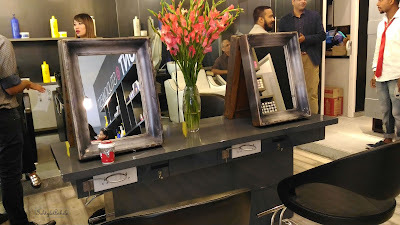 Mr. Anil Chopra, an advisor at Westside, says that the reason they partnered with BBLUNT salon and housing right inside the store is to give women the ultimate beauty experience from Westside. The salon is placed right alongside the beauty section of the store where the StudioWest range of cosmetics is placed. I was a bit worried about how open the space might be considering that it is placed within a store. However the decor is done in such a way that there are different sections within the salon and also adds privacy where needed. Very well laid out. 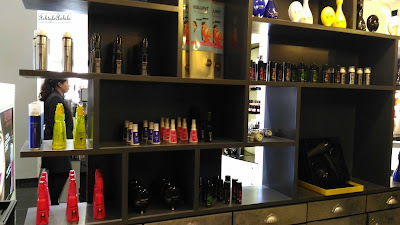 I loved how elegant the manicure pedicure section. The wooden framed mirrors add a sort of a rustic feel to the section where the hair styling is done and the shelves of products are placed very strategically to add some privacy for the customers. 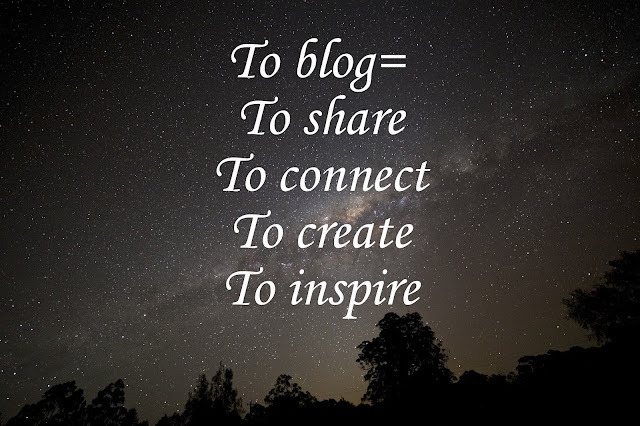 Almost all of the services that are available in the BBLUNT standalone salons will be available here as well. 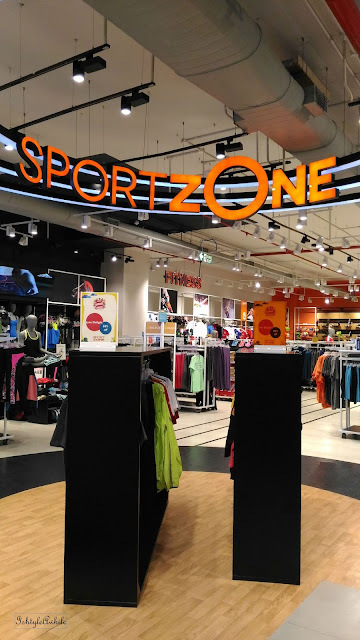 This Westside is also one of the biggest in the city and houses a Landmark and Sportszone, a sports centered floor, and soon they will a cafe as well inside the store, literally making this a one stop shop for clothing, beauty and food. 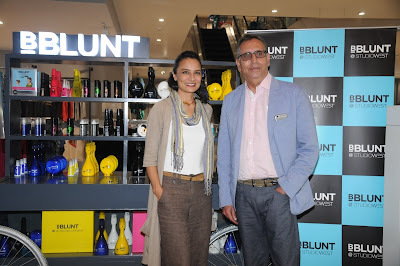 Adhuna also talked about the products from BBLUNT (a few of which I have to with me to try) and suggested a few products for my particular hair type. 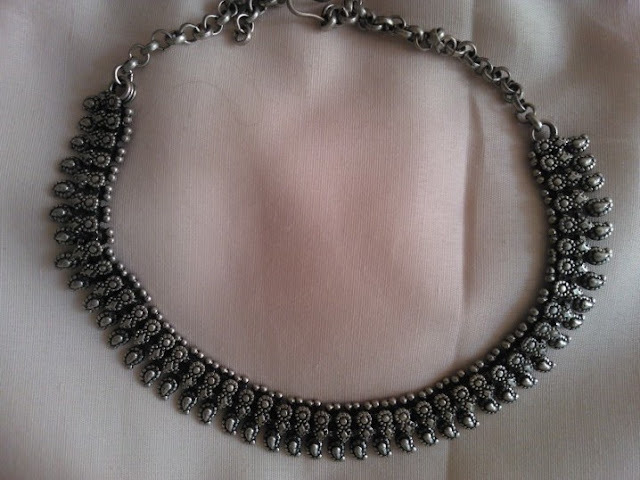 The various ranges can be mixed and matched to suit each and every type.